This piece is made of sterling handmade links shaped like 4 leaf clovers. 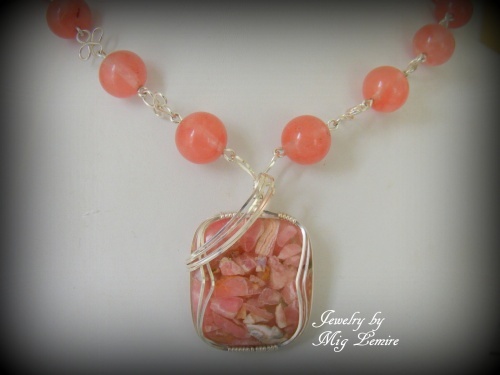 The beads are large Cherry Quartz in a very pretty almost coral color. Focal is a Rhodocrosite gemstone, framed in a sterling silver design. Comes with a complimentary pair of matching earrings. Piece measures 19" long.